Dr. Mike grew up in Southern California, graduating from Upland High School in 2003. He continued his education as a Kinesiology major at California Polytechnic University, in San Luis Obispo. 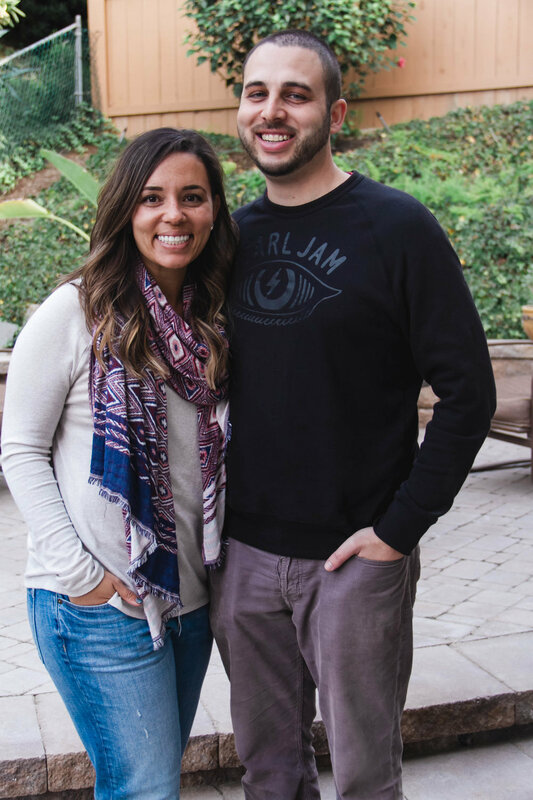 Dr. Mike received his degree as Doctor of Chiropractic from Los Angeles College of Chiropractic, and moved to North San Diego County to join Chiropractic & Therapy Center of Carlsbad with his wife, Dr. Samantha Dean Fauce, after working as an associate doctor in Costa Mesa, California. Throughout his youth, Dr. Mike kept very active by playing both basketball and baseball during his childhood and high school years. It was during these years that Dr. Mike took an interest in the phenomenal power and ability of the human body. As Dr. Mike started his Chiropractic education, he truly discovered his passion for helping people achieve their full potential. Dr. Mike provides chiropractic care for many Carlsbad Lancer student athletes in addition to his family practice. In his free time, Dr. Mike enjoys playing basketball, attending sporting events, and cooking. Dr. Sam was born in Southern California and raised in Northern California, before her family eventually settled in Northern Colorado for her high school and college years. She received her Bachelor's of Science in Biology at Colorado Christian University where she was also a 4-year starter for the Lady Cougars Women's Soccer team. She received her degree as Doctor of Chiropractic from Los Angeles College of Chiropractic. Dr. Sam moved to Carlsbad with her husband, Dr. Michael Fauce, to begin their life in beautiful North County. While athletics was what first piqued Dr. Sam's interest in pursuing Chiropractic as a career, it wasn't until she started Chiropractic College when she found her purpose and passion for serving families, and the prenatal and pediatric populations. Dr. Sam has received post-doctorate training in pediatric and prenatal care through the International Chiropractic Pediatric Association. While outside the office, Dr. Sam enjoys volunteering in the community as a youth soccer coach with LA Galaxy Carlsbad, in the children’s ministry at Daybreak Church, and as a board member of Carlsbad Village Association. In her free time, she stays active with Foundation Training, and regularly frequents The Fit Mill, Pure Barre Carlsbad & Lagree Fit Oceanside. She continues to enjoy soccer and softball, exploring the Village and watching sports with Dr. Mike. The couple met on their first day of Chiropractic College. Living in Carlsbad has truly been a dream come true, one that they take full advantage of. They love helping families achieve their health goals and cannot wait to start a family of their own. Dr. Mike and Dr. Sam have been married since August of 2014.